The South African wine industry expects at this early stage that the 2019 wine grape crop will return to normal levels in most regions thanks to good rainfall hot on the heels of a three year-long drought. The Klein Karoo however, is still experiencing a serious water shortage. 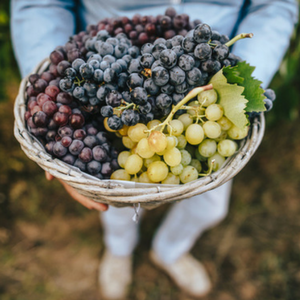 The size and quality of the 2019 wine grape crop will be further influenced by weather conditions in the flowering period and leading up to harvest, together with the vineyards’ ability to recover from the drought and the relevant region’s area under vines. This is according to a preliminary report on regional conditions that was recently compiled by the viticultural consultants of wine industry body Vinpro, and released by SAWIS (SA Wine Industry Information and Systems). "The dry, warm conditions that dominated the 2018 harvest season, have persisted in the post-harvest period, which in certain cases has had a positive effect on leaf drop and the accumulation of essential reserves," says Francois Viljoen, manager of Vinpro’s Viticultural Consultation Service. All regions experienced good cold conditions during the winter and rainfall was higher than last year, with the exception of the Klein Karoo, which is still suffering from a serious drought. Spring has set in earlier than normal, and the vines initially started to bud earlier than normal. In September, temperature fluctuations delayed vine growth however, and in certain cultivars resulted in late and uneven bud burst. Rain in September also prompted producers to increase their management inputs with regard to canopy and fungal disease management. By the end of September, temperatures rose again with subsequent good vine growth. According to Viljoen, the greater availability of water contributes to the industry’s expectation that the wine grape crop will return to normal levels in most regions, "provided that the favourable weather conditions continue and no excessive wind, heat or rainfall occur leading up to the 2019 harvest, which normally kicks off at the end of January". In the Klein Karoo the drought conditions that have been prevalent since 2015 still continue. The region experienced sufficient cold, but the rainfall throughout the season in parts like Calitzdorp, Ladismith, Oudtshoorn and Barrydale was far below the average and dams are nearly depleted. By the beginning of November, the Calitzdorp Dam was only 13% full compared to 22% at the same time last year. The Gamkapoort Dam has already been empty for the last three years.